Cardstock, ink, stamps, watercolor crayons: Stampin' Up! Don't forget to stop by the Caardvarks blog to see the wonderful inspiration photo I created this card from and to see the awesome creations the rest of the design team has come up with. I hope you participate.....I would love to see what you create, too. 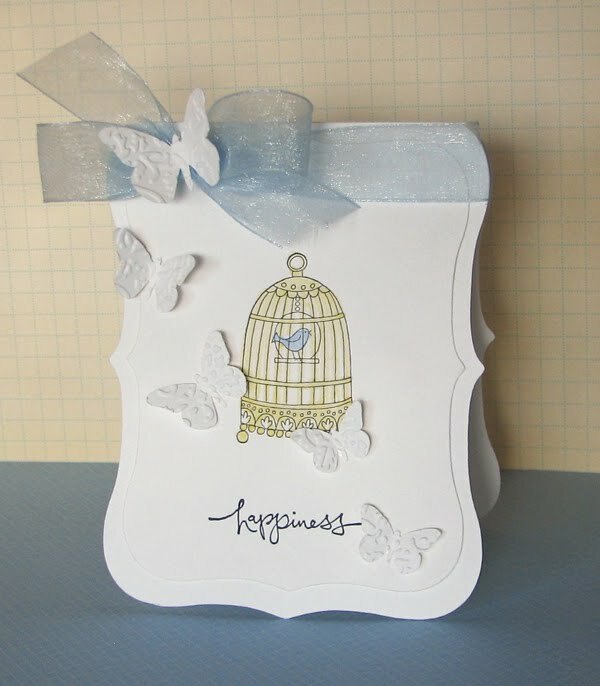 Love the shape of your card & those awesome embossed butterflies.